Disclosure: This post is sponsored by Goldfish Swim School. All opinions expressed are my own. Today we're excited for spring because not only does it mean spring break feels even closer, but because tomorrow my kids start swimming lessons at Goldfish Swim School! 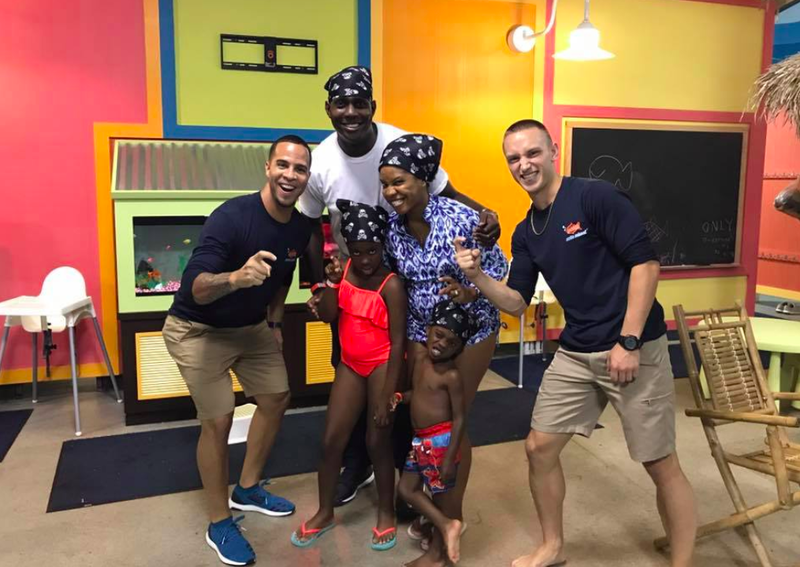 We've visited in the past for their themed Pirate Night - a fun family swimming experience, but with my children's 4th cruise coming up I decided it would be a great refresher to brush up on their swimming skills. Comfortable water temperature - this seems like a no-brainer, but you'd be surprised how water that's too cold stops kids in their tracks when it comes to lessons! My son started at 6 months old and I remember him shivering so hard at times. 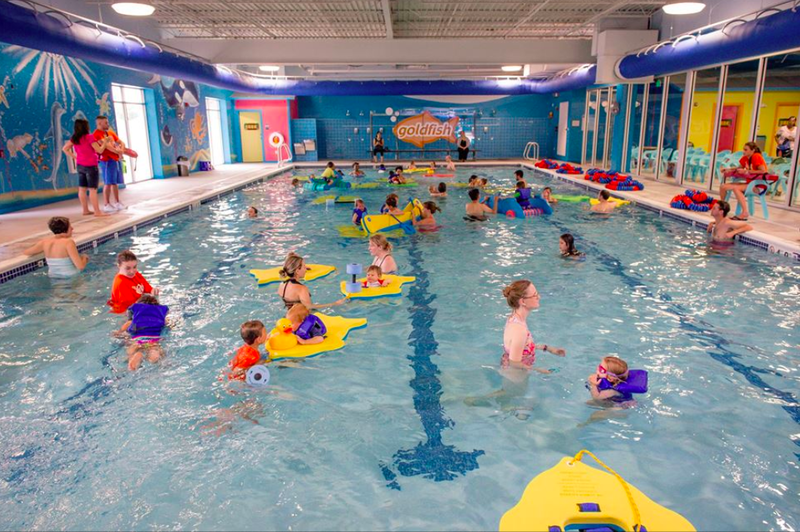 The water at Goldfish Swim School is a balmy 90 degrees - this will definitely get us ready for the warmer waters we're going to experience on our spring break cruise! Friendly environment - from the bright colors to friendly staff everything is warm and welcoming for the children and families; I especially like their lesson viewing area with huge windows so parents can watch their children's progress without breaking out in a sweat! Follow our Goldfish Swim School experience over on my Instagram Stories and be sure to check out Goldfish Swim School's website to schedule a visit and book lessons for your little swimmers!